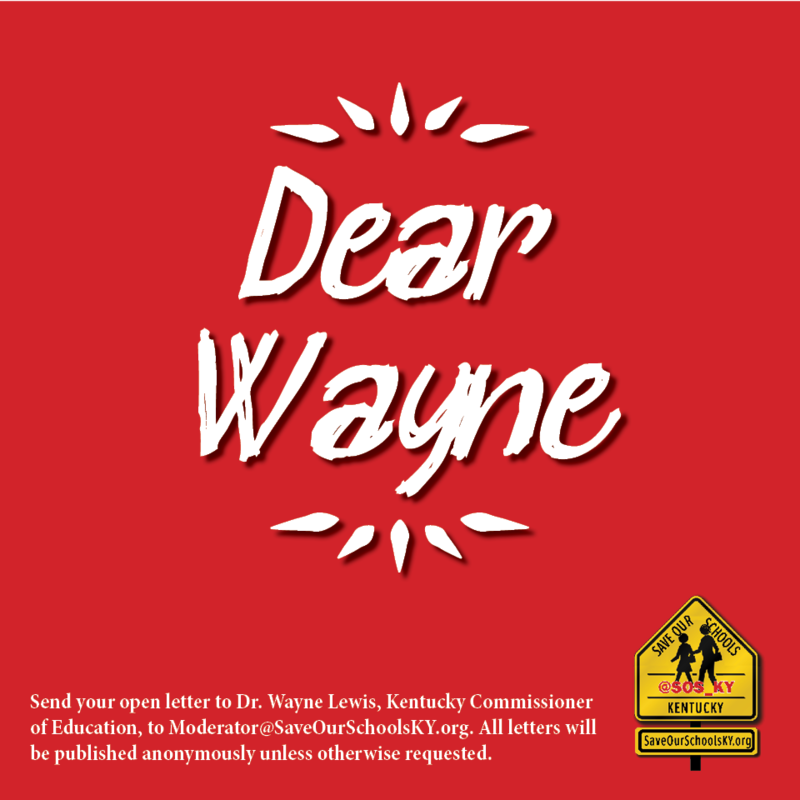 It’s clear you’re frustrated from the cold reception you’ve received from KY teachers. I’m sorry some have been disrespectful; however, you’ve not set much of an example yourself. Since your hiring by a pro-charter, Governor appointed board, you’ve been an absolute wrecking ball. Now, because of YOU, half of our state’s public schools have been labeled “TSI.” Very convenient, Wayne. Cast doubt about our schools to the public to pave way for your charter schools. As if we haven’t seen this done in just about every other state in the union where charters have been a big flop. Now, to add to your scheme, you’re casting teachers as “hateful and disrespectful” because they aren’t cowering to your awful assault on our schools. And please spare us the “improve the lives of children” talk. If you really cared about children you’d fight for their right to equitably, fully funded schools. You’d fight for their health care. You’d fight for their right to highly qualified teachers. You’d fight against abusive testing. Instead, YOU labeled our schools. YOU used our kids as pawns. YOU questioned our motives. Although we may not always say it in the nicest way, we don’t like YOU. We don’t like what YOU represent. And we don’t trust YOU with our kids or schools. YOU are a predator posing as a house pet, but all YOU are is Bevin’s lapdog. YOU threaten all that is good and special about our public schools. So forgive us Wayne if we teachers seem a little grumpy. We get a little offended when you call our kids and schools failures.